Message from Bishop Denis on the tragic death on Wed. 30th Jan. of Fr. John Cummins. P.P. Mgr John Byrne, Vicar General will receive the remains with Bishop Denis and priests of the Diocese in Abbeyleix at 6.30 pm, Fr Ger Ahern will lead Night Prayer at 9pm. 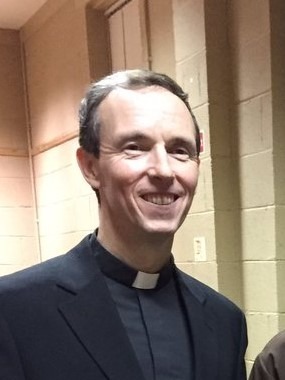 Bishop Denis will celebrate Mass on Monday at 11am in St Conleth’s, Church, Newbridge with Fr Ger Nash, classmate and very good friend of Fr John, preaching the homily.